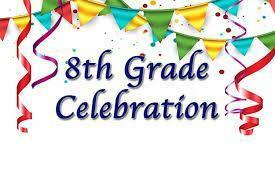 April 16th, 2019 @ 5:30 in our cafeteria, we will be having our first meeting for the 8th Grade Party. We need all of your help to make this party happen for all of our 8th Graders! Hope to see you April 16th!